According to the latest surveys, the most germy areas at your home are the kitchen sink, the bathroom tiles and the door handlers. However, the area that gathers more dust than any other surface at home is the upholstery. If your busy lifestyle doesn’t allow you to have much free time during the week, don’t hesitate to book the service for the weekend or even for the holidays. If you have pets, leaving hair everywhere and kids who are constantly stepping on the sofa with dirty shoes or spilling juice, don’t be surprised if the condition of your upholstery is terrible. If you are one of these people who can’t stand the view of dirty and dusty sofa, you have probably tried various methods for treating the stains and bringing the initial brightness of the upholstery back but you didn’t have much success. 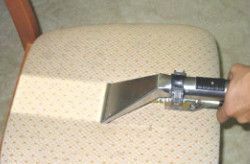 Don’t you think that you have to find an easier and more efficient upholstery cleaning method? We would be glad to be your reliable cleaning assistant in Finsbury Park. 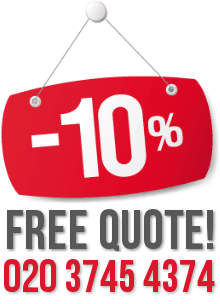 CleanersFinsburyPark doubt it that you will find a lower price for an upholstery cleaning service than ours. Bearing in mind that we would never tolerate mediocre results, our offer is the best choice for you. We are positive that you will be amazed by the condition of your sofa and stools after the cleaning procedures and as soon as you see the results you will realise how dirty they were. The dirt, stuck into the fibres will be totally extracted and your sofa will be fresh smelling and looking like a brand new one. Contact our call centre operators and schedule a cleaning appointment now. Feel free to ask all your questions too. They will be glad to give you precise information and lead you through the booking process. We work all year round, with no day – off.